This is a round Ferrero Electric Inc. porcelain sign. This particular Ferrero Electric Inc. sign is maroon with a white text. 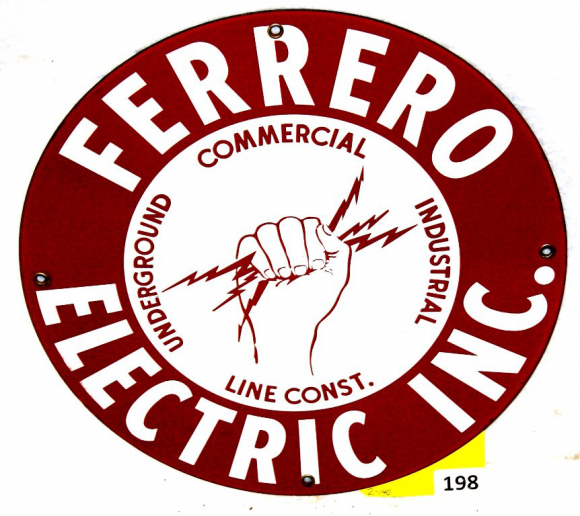 It reads, “Ferrero Electric Inc., Underground, Commercial, Industrial, Line Const.” and features a hand holding lightning bolts in the center.